Victorine Lieske…. what in the world to say? She is someone I’m in awe of, and I’m not even kidding about that. In addition to being a successful author who does graphic design and runs a small business, has four kids, does lectures and seminars on writing, she’s truly one of the nicest people you’ll ever hope to meet. When the doors opened to self-publishing way back when around 2010 or so, she released a book called Not What She Seems. That book was, to my knowledge, the first self-published Romantic Suspense novel to hit the NYT Best-Seller list. I know she isn’t perfect, but she’s good in a world when too many people are not. So yes, I do admire her and look up to her. The latest release. Isn’t this a gorgeous cover? Yes, I think my characters are an extension of me, even if they’re not just like me. I think I put myself in their place a lot, and my characters can do things I wouldn’t dare do in real life, so it allows me to explore some fun things. My characters take shape out of necessity. What I mean by that is, when I am forming a plot line, I think of conflict and tension that can be introduced into the story. For example, I wanted to write a story about a couple who got married by mistake. In order to make this work, I needed a character who was always jumping into crazy things and then things went horribly wrong. This is where Penny’s character first started forming. I needed a lot of conflict around this mistake, and I needed her to want to go to great lengths to cover it up, so I created a back story for her, being that she makes lots of mistakes and then her family teases her about them. 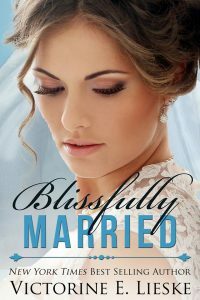 She hates the teasing, so she agrees to pretend to be married to the man she mistakenly marries to cover up her biggest blunder yet. A person who would do this, would be spontaneous and a bit irrational, but she’s also very kind and caring, and wants to think the best of people. Her character traits were born out of necessity to fit the plot I wanted. My characters are in my head, and then I take notes on them and save the file as Characters under the title of my book. I really don’t think of my characters as alive. I sometimes create characters who do things I wouldn’t do. But my stories are clean reads, so I don’t show my characters doing really bad things on screen. I do allow my characters to unfold a bit naturally, as the story progresses. Meaning, if a situation comes up and it would create more tension if my character acted one way rather than another, as long as it’s not totally against what they would do, I explore these options. I think my stories are plot-driven, but I do try to develop strong characters with full back stories. Where can you find out more? Victorine’s website or her Amazon author page. And you can pick up Blissfully Married here.